Be the first to share your favorite memory, photo or story of Aida . This memorial page is dedicated for family, friends and future generations to celebrate the life of their loved one. Homer resident Aida Louise Lush, age 91, passed away at South Peninsula Hospital in the early morning hours of January 28, 2019. Born on February 4,1927, Louise was the daughter of Winfield and Mildred Hutchins of Springvale, Maine. She graduated from Sanford High School in 1945 and attended Vesper George School of Art in Boston, Massachusetts. She continued her education through her teaching years at the University of Maine, Gorham; New York State University at New Paltz, N.Y.; Arizona State University; and Alaska Pacific University in Anchorage. Her teaching career included teaching art in the Rockland, Maine schools before transferring her interest to the primary grades 1,2 and 3, eventually teaching at schools in Sanford, Maine; Mountain View, New York; El Centro, California; Wellton, Arizona; Thorne Bay, Alaska; and finally, in Anchorage, where she retired in 1979. Louise married Herbert L. Lush in 1950, also a teacher, and together they raised four children, Daniel Leslie, Nancy Gale, Mary Anne, and Rebecca Jane. After retirement, she and Herbert operated commercial fishing set-net sites in Cook Inlet, the last being at Clam Gulch. During this time, they won a free trip to London, then traveled throughout Europe. Having caught the travel bug, they later spent 6 weeks in China at Wuhan University studying the Chinese language. Other trips took them to Spain, Portugal and Morocco with the Chugach Gem and Mineral Society collecting rocks and gemstones; and South America, South Africa, and Zimbabwe game farms. For 30 years, they spent 3 of the winter months in the sun in Yuma, Arizona until Herb's passing in 2011. Louise then lived with daughter Nancy in Eagle River for several years before moving to Homer in 2014, close to son Daniel and his family, where she resided at the Homer Terrace Assisted Living Facility until her passing. Mrs. Lush was a member of the First United Methodist Church in Anchorage since 1970. Other affiliations included the ARTA (Alaska Retired Teachers Association); Chugach Gem and Mineral Society; Log Cabin Quilters; Prospectors Society; the Pioneer Club; and the Anchorage Senior Center. 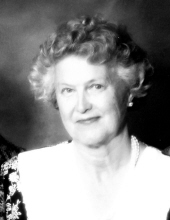 Louise is survived by sister Priscilla Bucklin of Sanford, Maine as well as children and spouses Daniel and Margaret Lush of Homer; Nancy and Bruce Steely of Eagle River; Mary Anne and Michael Simonds of Westlake Village, CA; and Rebecca and Gary Hunt of Hermiston and 16 grandchildren and 8 great¬ grandchildren. It is difficult to be parted from her, but the lessons she taught by word and example to her children, and to all who knew her grace, patience, class, gentleness, kindness, and most of all, love- are a legacy that will continue. February 1, 2019 at 4:00p.m. The Reverend Lisa Talbot officiated. The Homer Ukelele Group Society (H.U.G.S. ), who practice regularly at the Homer Terrace, providing hours of enjoyment for all the residents, will play during and after the service. "Email Address" would like to share the life celebration of Aida Louise Lush. Click on the "link" to go to share a favorite memory or leave a condolence message for the family.